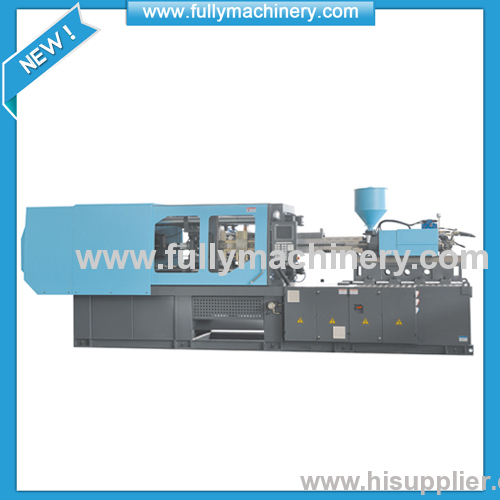 This series machine has improved the machining accuracy of the part of the machine and precision of assemnly, as well as its rigidity, intensity and complete machine performance. They apply to high precision thermoplastics and widely used for instruments, electrons, vehicles and articles of everyday use etc. 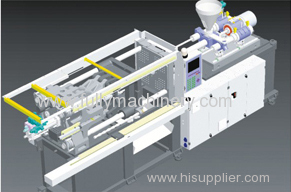 With the continuous development of science and technology, ultra-thin, high precision plastic products used in all aspects of society is more and more widely, the higher of the injection molding machine injection speed, precision are required. The company for the new demand to conform to the new situation and the domestic and foreign market, the successful completion of the development, to the market. The products in the initial design, grasp the change tradition, innovation concept, current situation of market of sufficient investigation and factory production product and customer demand for the product, the other opened up new ideas, benefit by mutual discussion. Our design ideas to practical, high speed, high accuracy, safety, environmental protection, capacity of multi function, new style, can enrich and satisfy the new needs of customers. Promotion of the listing, the product of the utility model, is beneficial to the enterprise benefit to further increase. Improve product diversification. 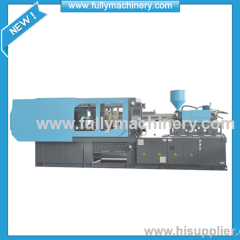 The project mainly for precision high-speed electric injection system of vertical injection molding machine, servo motor with screw screw control injection, injection volume precision average deviations of less than 0.02%, the injection speed of up to 500mm/s, can completely meet the requirements of forming ultrathin high precision plastic products. 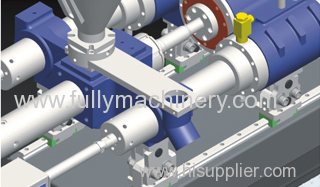 The structure of the injection system: ordinary vertical injection molding machine is changed into electric injection system, including the injection motor fixing plate, injection screw, fixed plate feeding motor and servo motor, servo motor through a special synchronous belt drive injection screw rotation, screw nut screw rod to move up and down, so as to realize the injection and loosening action.